Adapted from Leaves from My Journal, by Wilford Woodruff; artwork by Douglas Johnson. … After Joseph, the Prophet, had led Zion’s Camp to Missouri, and we had passed through all the trials of that journey, and had buried a number of our brethren, as recorded in history, the Prophet called the Camp together, and organized the Church in Zion, and gave much good counsel to all. He advised all the young men, who had no families, to stay in Missouri and not return to Kirtland. 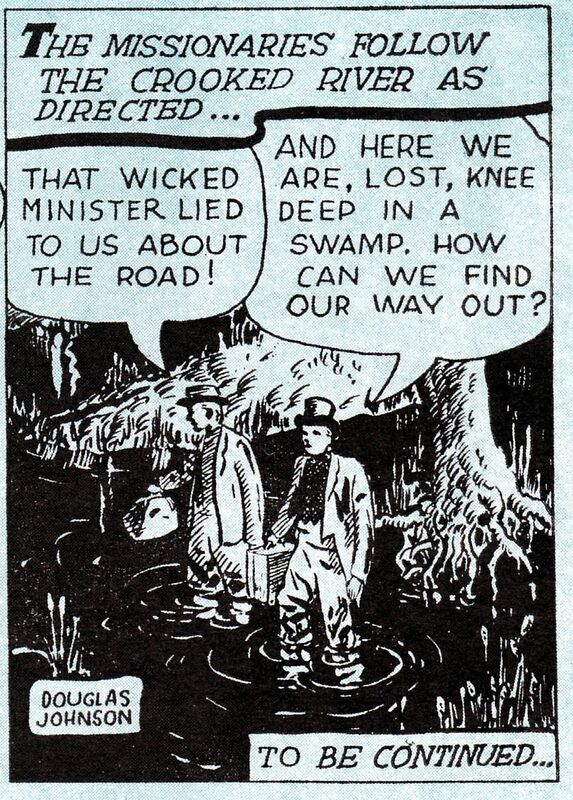 Not having any family, I stopped with Lyman Wight, as did Milton Holmes and Heman Hyde. We spent the summer together, laboring hard, cutting wheat, quarrying rock, making brick, or anything else we could find to do. 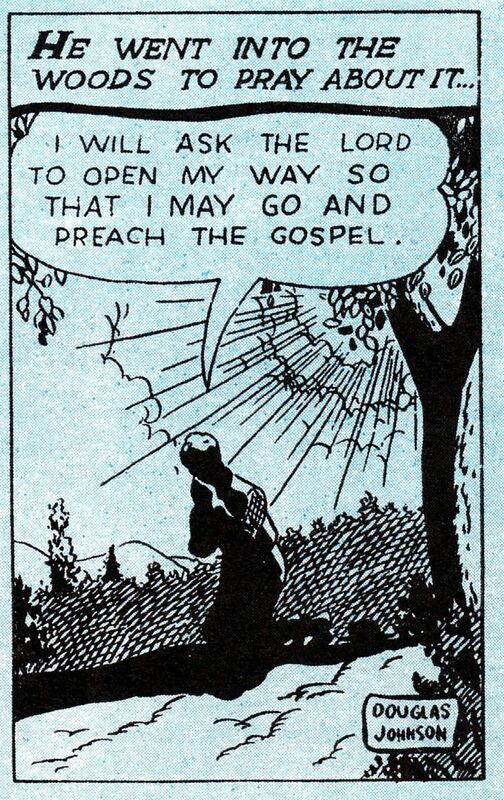 In the fall I had a desire to go and preach the gospel. I knew the gospel which the Lord had revealed to Joseph Smith was true, and of such great value that I wanted to tell it to the people who had not heard it. It was so good and plain, it seemed to me I could make the people believe it. I was but a Teacher, and it is not a Teacher’s office to go abroad and preach. I dared not tell any of the authorities of the Church that I wanted to preach, lest they might think I was seeking for an office. I went into the woods where no one could see me, and I prayed to the Lord to open my way so that I could go and preach the gospel. While I was praying, the Spirit of the Lord came upon me, and told me my prayer was heard and that my request should be granted. I felt very happy, and got up and walked out of the woods into the traveled road, and there I met a High Priest [Elias Higbee] who had lived in the same house with me some six months. 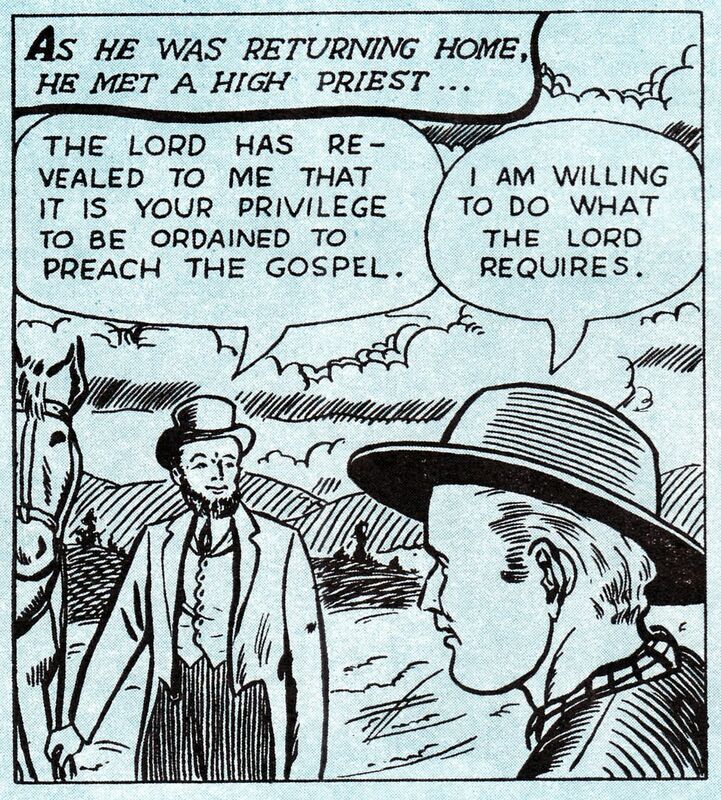 He had not said a word to me about preaching the gospel; but now, as soon as I met him, he said, “The Lord has revealed to me that it is your privilege to be ordained, and to go and preach the gospel.” I told him I was willing to do whatever the Lord required of me. I did not tell him I had just asked the Lord to let me go and preach. 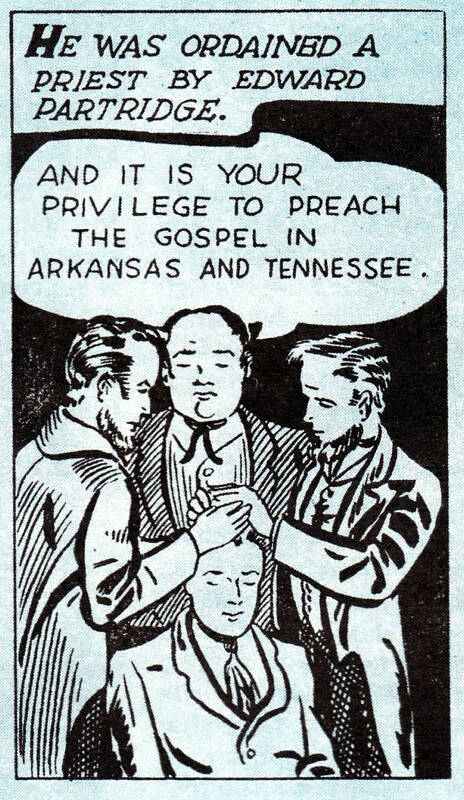 In a few days a council was called at Lyman Wight’s, and I was ordained a Priest and sent on a mission into Arkansas and Tennessee, in company with an Elder [Harry Brown]. This mission was given us by Elder Edward Partridge, who was the first Bishop ordained in the Church. 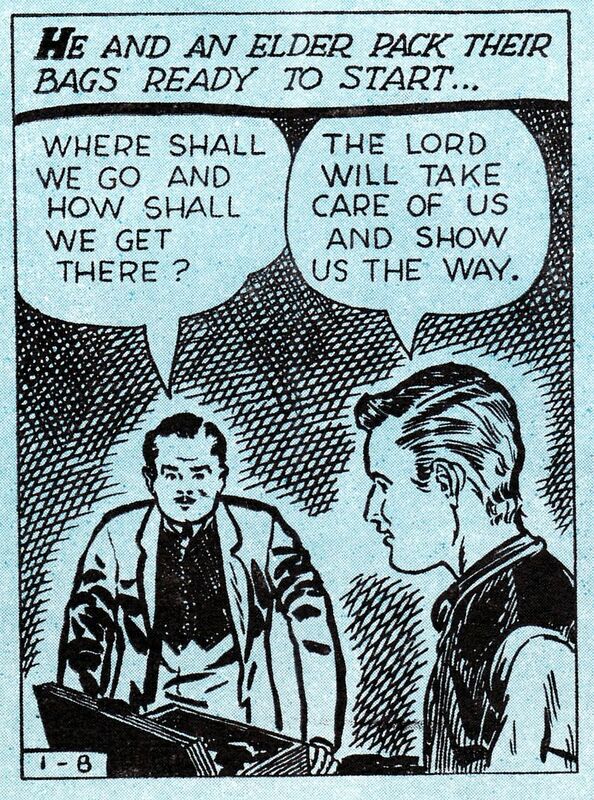 The law of God to us in those days was to go without purse or scrip. Our journey lay through Jackson County, from which the Saints had just been driven, and it was dangerous for a “Mormon” to be found in that part of the State. We put some Books of Mormon and some clothing into our valises, strapped them on our backs, and started on foot. We crossed the ferry into Jackson County, and went through it. In some instances the Lord preserved us, as it were by miracle, from the mob. 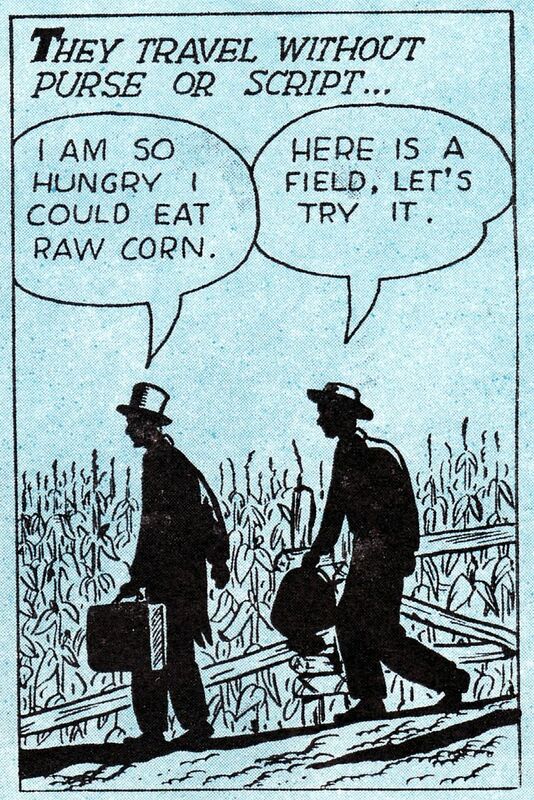 We dared not go to houses and get food, so we picked and ate raw corn, and slept on the ground, and did any way we could until we got out of the County. We dared not preach while in that County, and we did but little preaching in the State of Missouri. 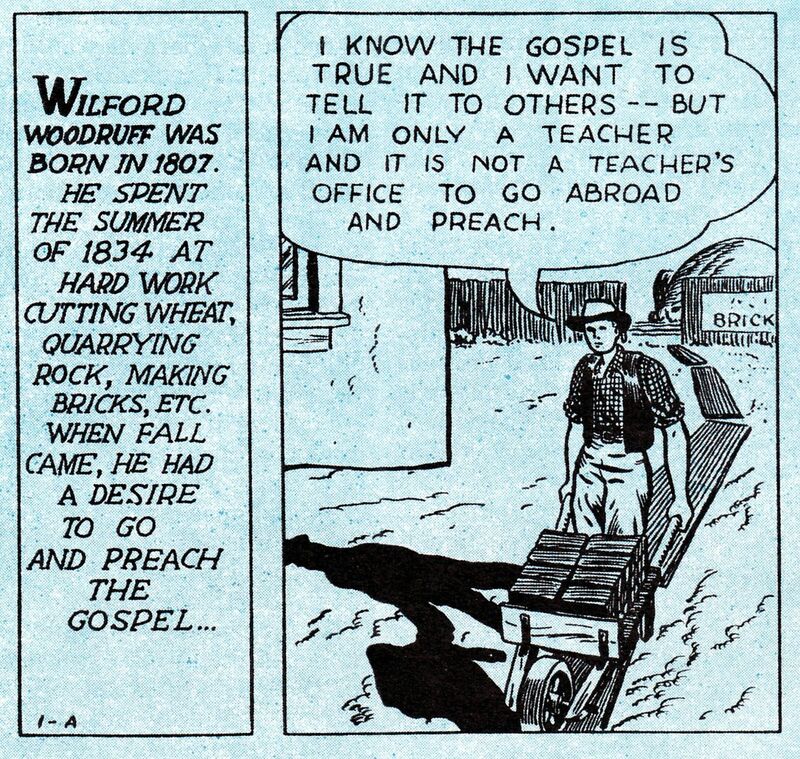 The first time I attempted to preach was on Sunday, in a tavern, in the early part of December, 1834. It was snowing at the time, and the room was full of people. As I commenced to speak the landlord opened the door, and the snow blew on the people; and when I inquired the object of having the door opened in a snowstorm, he informed me that he wanted some light on the subject. I found that it was the custom of the country. How much good I did in that sermon I never knew, and probably never shall know until I meet that congregation in judgment. In the southern portion of Missouri and the northern part of Arkansas, in 1834, there were but very few inhabitants. 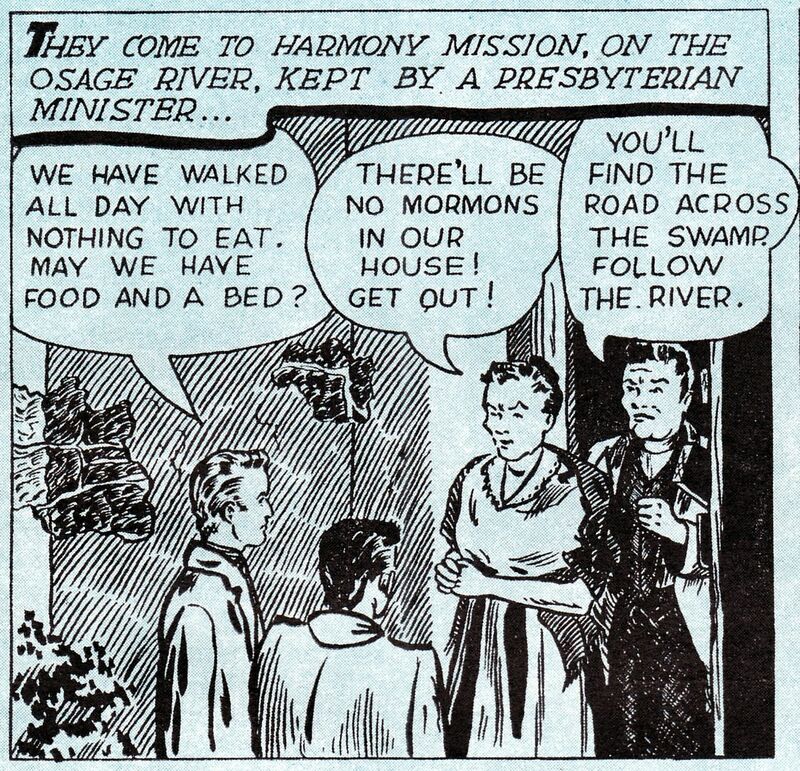 We visited a place called Harmony Mission, on the Osage river, one of the most crooked rivers in the west. This mission was kept by a Presbyterian minister and his family. We arrived there on Sunday night at sunset. We had walked all day with nothing to eat, and were very hungry and tired. Neither the minister nor his wife would give us anything to eat, nor let us stay over night, because we were “Mormons,” and the only chance we had was to go twelve miles farther down the river, to an Osage Indian trading post, kept by a Frenchman named Jereu.